What if my recordings are more than 45 minutes long? What if my recordings are less than 30 minutes long? How will I know if my recordings are good enough to submit? What are my options for developing coaching mastery? Is there a recommended path? Why is there an online test and a recorded exam? If I know the material, wouldn’t my online test show that? How do I choose a mentor coach or coaching school to help me become an IAC® certified coach? How do the IAC® Examiner assess the recordings? Can I submit a recording coaching session with more than one client (couple’s coaching, group coaching)? How to I make the transcript of my coaching session? What should the transcript look like? What if my recordings are over 45 minutes long? The IAC Examiners score based on the 30-45 minutes from when the session begins (after the coach states their information and the waiver is agreed upon by the client), until the 45 minute mark. The requirement is that the coach demonstrates the 9 IAC Coaching Masteries® within 30-45 minutes, so a recording less than 30 minutes is acceptable as long as this requirement is met. First, make sure you have read and meet the guidelines. One powerful tool for self-evaluating your readiness is to record as many of your sessions as you can, and review them yourself. This is a great tool for your continual improvement. The Masteries Note-Sheet, E-book, and feedback guide for scoring yourself will help you get more comfortable with assessing and improving your coaching. Although the hallmark of the IAC® is honoring coaches for their unique approaches to learning, and recognizing that each coach comes to coaching with a variety of experiences, we do have a recommended path that can help all coaches grow and improve their coaching skills. The first step is to design a Masteries Professional Development Plan (MPDP) as a tool for planning and assessing your progress. The online test is a great measure of how well a coach understands the theory and conceptual application of the Masteries. In a coaching session you demonstrate your ability to use and apply the Masteries. Hire only official Licensees. 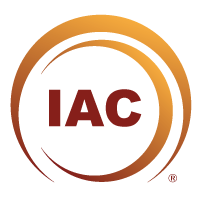 It is illegal to use IAC Coaching Masteries® for commercial purposes without a license. All licensees are listed under Licensing Agreement and Payment. Inquire about the trainers’ own coach training background and certification credentials. Ask for IAC Certification™ success rate. IAC certification will be given by IAC, not by Licensee. Be aware that IAC® Licensees are not permitted to assess whether coaching recordings you intend to submit for certification are likely to pass. Rather, they will teach you to understand the requirements of masterful coaching, offer you their own methods for evaluating and scoring recordings, and teach you to assess your own and others’ recordings. Outside support is neither necessary nor required to achieve IAC Certification™. However, support from IAC® licensed training schools, or participation in study groups is recommended to enhance your learning and increase your chances of success. Learn more about choosing a coaching school. How do the IAC® Examiners assess the recordings? The Certification Committee has a comprehensive and detailed scoring methodology for determining whether or not applicants’ recordings will pass. This methodology was tested for internal consistency prior to its application, and IAC Examiners are thoroughly trained to ensure fair and consistent scoring. Two IAC Examiners independently review each submission and scores the coaching session. In the event of a difference in scores, the recording is reviewed by a third IAC Examiner. IAC Examiners only assess coaches with whom they do not have a personal relationship. No. 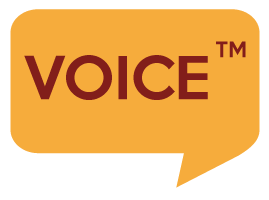 The IAC only accepts recordings with one client. A transcript is a written format of your recording which captures your coaching conversation verbatim. How do I make the transcript of my coaching session? You can use any speech to text tools or apps to convert your audio recording to a written transcript. The transcript must be in English and saved as a word file .doc or .docx. Please view a sample transcript here.